Between the dozens of Christmas cookies, cakes and pies you’ll come across this holiday season, it’s easy to let a deluge of sugar take over every meal. But with these healthy Christmas desserts, you can enjoy a sweet treat without feeling overstuffed after every meal. In addition to including some healthy ingredients, these desserts are also great options for those looking to save a few bucks on holiday meals. Remember how I mentioned that there’s way too much sugar involved in most Christmas treats? 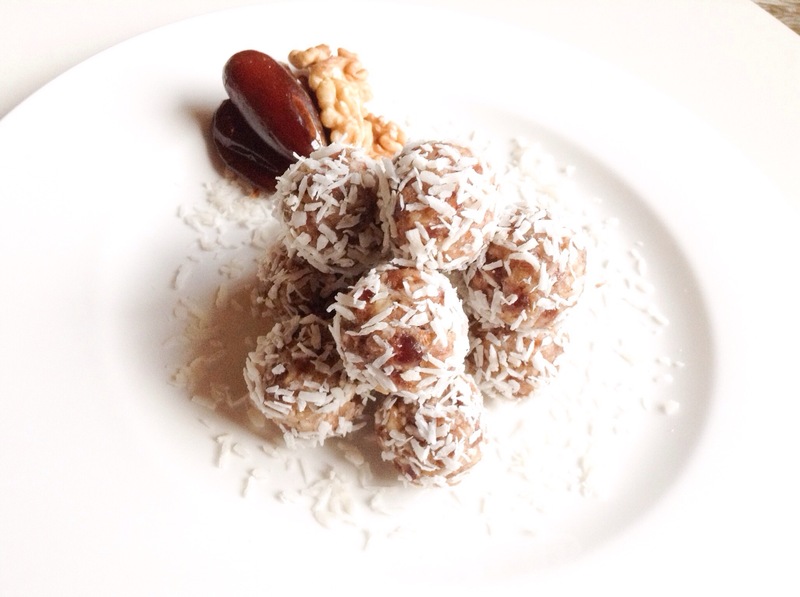 Well, these date nut balls feature absolutely no added sugar, so you can indulge without feeling guilty. Plus, the cute coconut topping makes them look like snowballs, which will entice the kids to give them a try. But the best part is that a whole batch of these delicious snacks takes just 10 minutes to make – perfect for the busy holiday season. Put the dates and almonds in a food processor. Mix until finely chopped. Add the cinnamon and salt to the food processor and pulse to combine. Spread the shredded coconut on a flat plate or tray. Measure out about 1/2 teaspoon of the mixture at a time and roll each portion into a ball using your fingers or palms. Roll each ball in the coconut, pressing to coat. Place in the refrigerator to set for at least 30 minutes before serving. There are a few healthy hacks mixed in to this bread pudding recipe. The addition of cranberries, ginger and coconut add holiday flavors while keeping with a fresh, healthy theme. Plus, whole-wheat bread is used for the basis of the dish. The great thing about this recipe is that you can go for an easy option with one large baking dish or create mini servings with smaller individual baking dishes. After chopping up your bread, let the cubes sit out for a day to stiffen up a bit. The mixture may be combined and refrigerated during this time if you prefer, but let it return to room temperature before baking. In a large bowl, whisk the eggs and egg whites together. Add in milk, brown sugar, ginger, salt and vanilla. Whisk to combine. Add the cranberries and stir to combine. Add the bread cubes and stir to combine. Let the mixture stand for 30 minutes. Meanwhile, preheat your oven to 350 degrees F and coat a shallow 3-qt. baking dish with cooking spray. Add the mixture to the baking dish. Spray a piece of aluminum foil with cooking spray and place it sprayed side-down on the dish, pinching at the edges to cover. Bake for 30 minutes. Remove the foil cover and sprinkle the dish with shredded coconut. Continue baking for about 25 to 30 minutes until the pudding is puffed and firm to the touch. Allow to rest for 10-15 minutes before serving. Instead of rich, decadent desserts that make you feel heavy and overly full, end your holiday meals with something fresh, light and tasty. These meals will help you stick to both your diet and your budget this holiday season. If you simply must have cookies at Christmas, there’s a way to treat yourself without ruining your diet. The only sweetener in these cookies is honey, which makes them a healthy alternative to dense sugar cookies. Plus, whole-wheat pastry flour is incorporated to add a bit more fiber. Place almonds in a food processor and mix until finely ground. Mix ground almonds, both flours, baking powder and salt in a bowl and stir to combine. Place 2/3 cup honey, oil and 3 tablespoons butter in a mixing bowl and beat with electric mixer to combine. Blend in egg and vanilla with electric mixer. Stir wet and dry ingredients together to combine. Refrigerate dough for 1 hour. Preheat oven to 350 degrees F. Prep baking sheets by lining with parchment paper or coating with cooking spray. Roll 1-inch balls of dough and place on baking sheet. Press tip of finger into center to make an indentation. Bake each batch for 13 to 15 minutes each. Combine the remaining honey and butter until creamy and use to fill cookie indentation. Top with sliced almonds if desired. Use these tasty treats to make your holiday gatherings sweet while staying on a budget and a diet.